June 10, 2015 - Scientists have discovered the deepest high-temperature hydrothermal vent in the Pacific Ocean, located in the Gulf of California's Pescadero Basin. It sits nearly 12,500 feet (3,800 meters) below the surface. Experts think the high temperatures may cook organic material in the overlying mud into petroleum-like products. Samples of the chimney stacks have the stench of diesel fuel, but creatures like the tubeworms shown in this footage are undeterred. 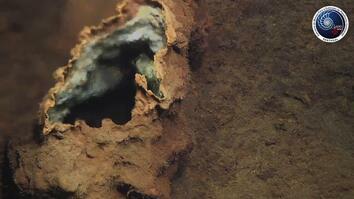 They cling to rocks near carbonate chimneys that emerge from a flat, muddy seafloor. 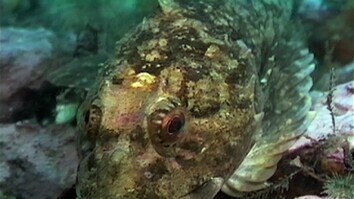 The footage was captured using a remotely operated vehicle. 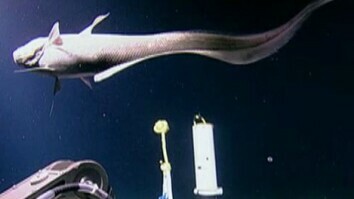 "Weird Animal World Discovered in Deepest Pacific Ocean Vents"